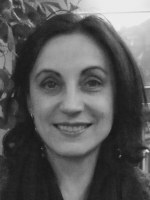 In practice Beata worked more than 20 years in area of Requirements Engineering, Testing, Quality Assurance and relevant training. Beata has graduated in Computer Sciences and Information Systems at Stockholm University. Later, Beata has worked in several Swedish companies and continuously expand her knowledge in requirements engineering, testing, system quality assurance and product life cycle. Beata is also the initiator of the requirements engineering certification organization in Swedish via SQEB in cooperation with GASQ. Since 2011 SQEB has contributed to international efforts in Requirements Management, Business Analysis, promoting training in requirements management, and certification of Requirements Engineering in Sweden. Beata is also vice President of SSTB, Swedish Software Testing Board, the national body of ISTQB.